Zwart, A.P. (2015). 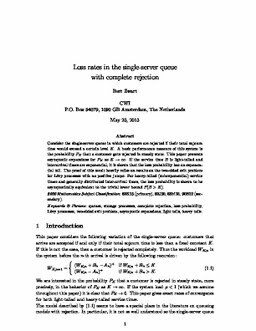 Loss asymptotics for the single-server queue with complete rejection. Mathematical Methods in Operations Research, (81), 299–315.